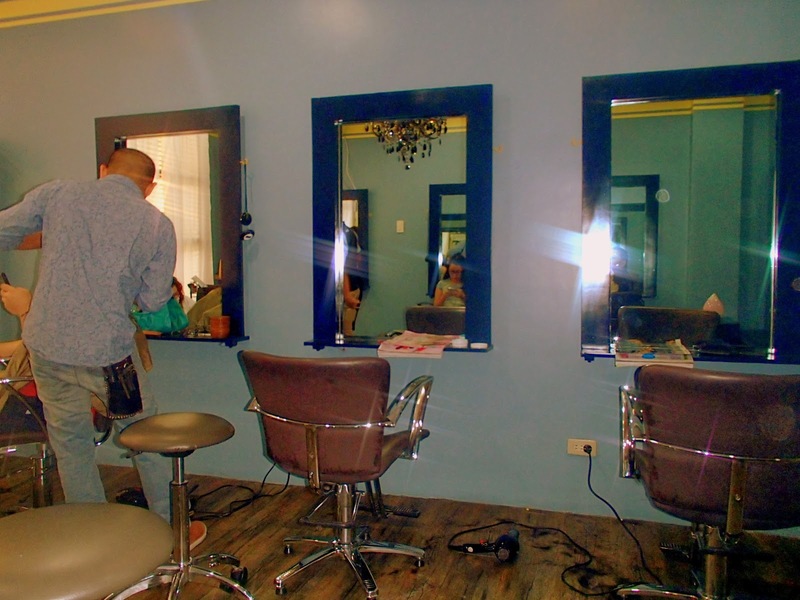 A new look is fitting for a new year, and somewhere in Katipunan Avenue, a salon is sporting a fresh new look. 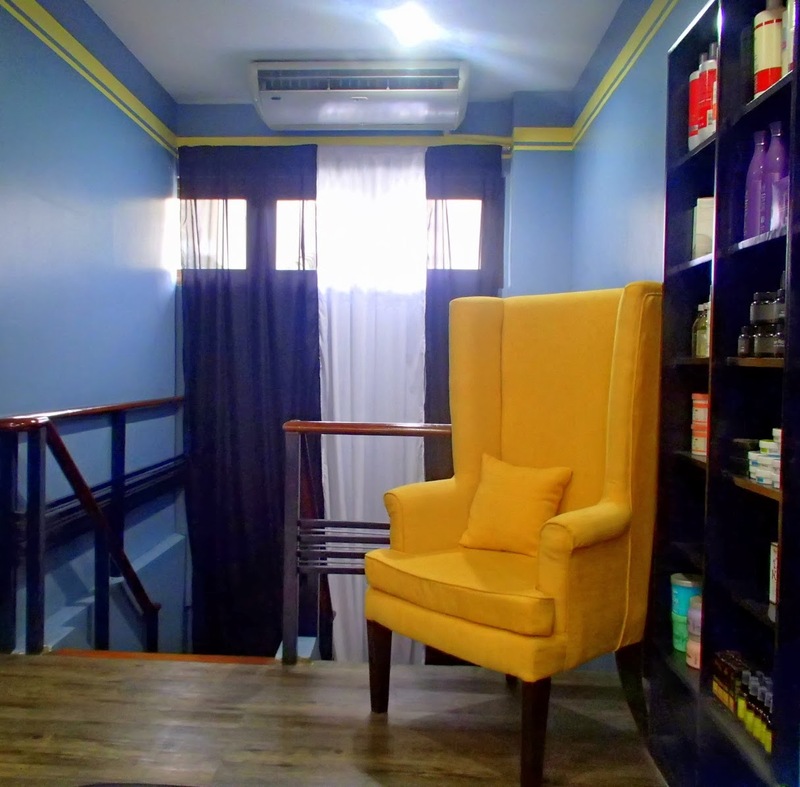 Say hello to the new Soiree Salon & Spa! 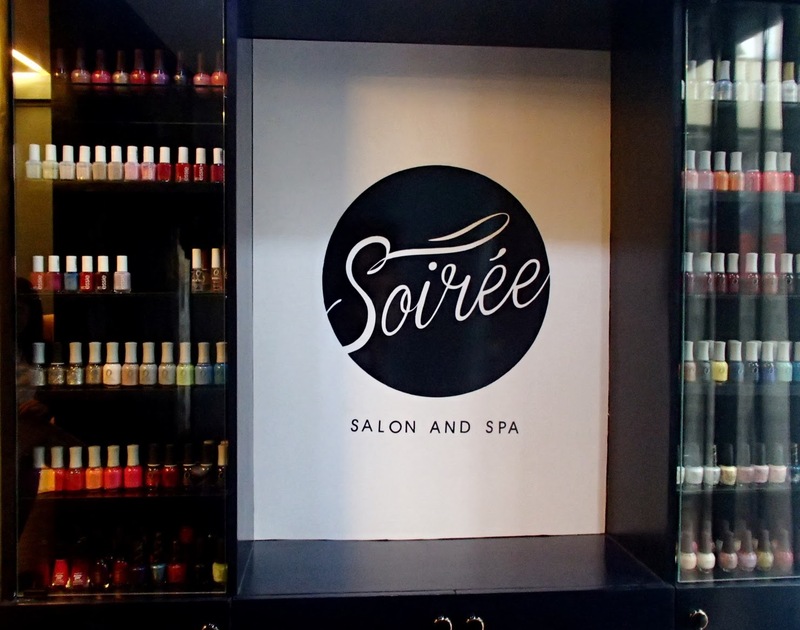 Upon entering, customers are welcomed with Soiree's new logo, a black and white signage in script--really classy and feminine! And those are prolly hundreds of nail polishes surrounding the logo, a nice play of colors serving as border to the new name. 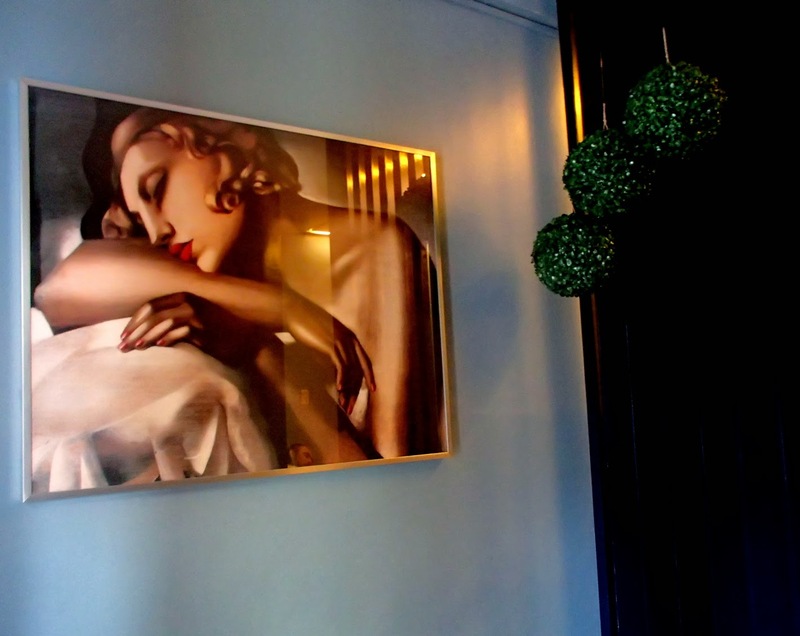 There's also a painting of a woman beautifully resting on the left side. Hmm.. Is that one way of the salon saying: "Hey you, step inside for that much-needed R&R?" 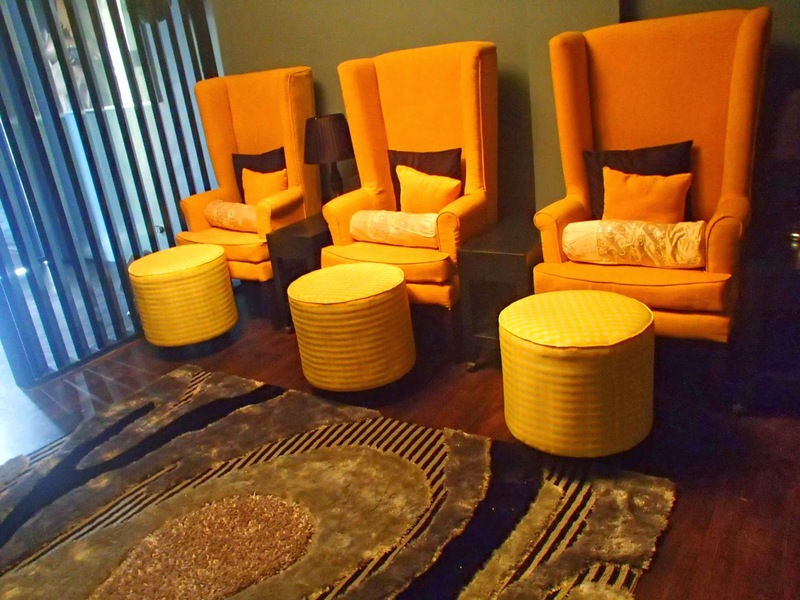 :)"
Christine, the owner of Soiree chose yellow for the chairs to effortlessly brighten up the place. And now, for the second floor. Tadaaaan! This is where the hustle and bustle takes place! 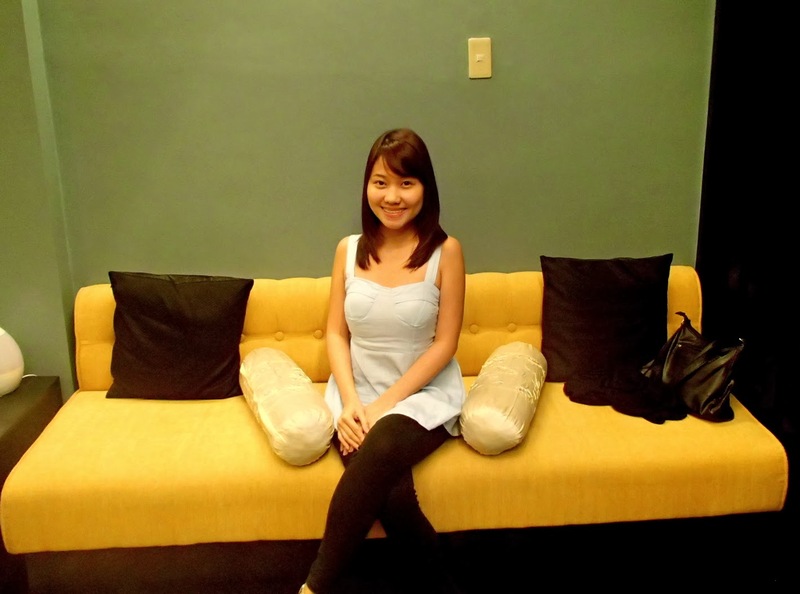 More pretty hair and much-needed relaxation coming to the customers' way!